Fendt are pleased to announce their attendance at ScotGrass 2019 to be held at Dumfries on 15th May 2019. 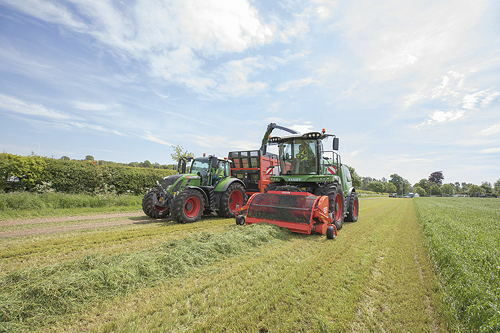 ScotGrass has proved to be a popular event in the farming calendar, providing a unique opportunity to see the latest equipment in action, as well as the chance to discuss new ideas with industry leading experts, Fendt! The event will be held this year at the SRUC Crichton Royal Farm, Glencaple Road, Dumfries DG1 4AS on Wednesday 15th May 2019. Fendt is the leading high-tech brand within the AGCO Corporation, geared towards customers with the highest demands. Tractors and harvesting machines from Fendt are at work in farming enterprises and other interesting areas of application on fields around the world. In many areas of agricultural engineering, Fendt is the pioneer for trendsetting developments. Fendt customers therefore benefit earlier from the innovative technology for enhancing performance, efficiency and profitability in their farming businesses. AGCO Fendt employs some 5,400 people in the areas of research and development, sales and marketing, production, service and administration at its Marktoberdorf, Asbach-Bäumenheim, Hohenmölsen, Feucht, Waldstetten and Wolfenbüttel sites in Germany.